After the seminar in Mumbai - We are coming to Ahmedabad !! 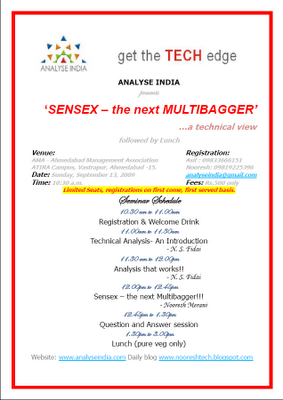 The seminar details posted in the above image. Click to enlarge. Our colleague Asif is in ahmedabad for next 2-3 days so people can contact him for confirmations and details. 09833666151. 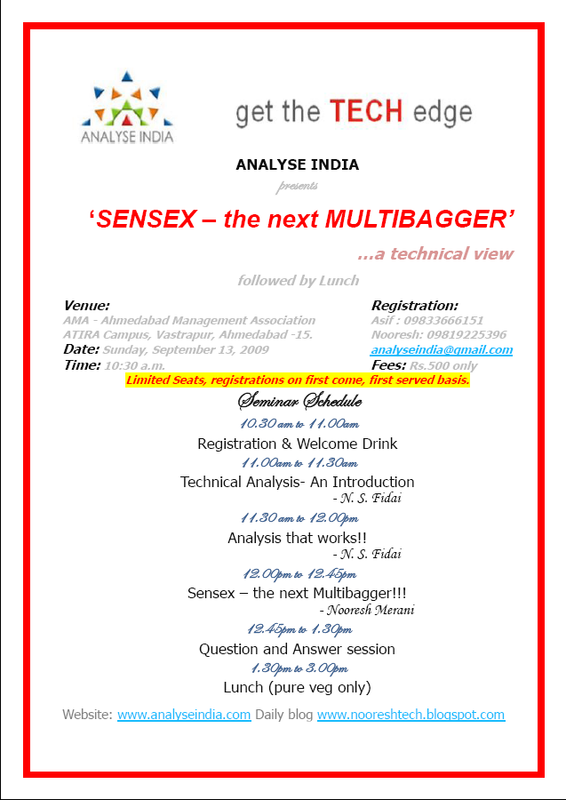 Readers can invite friends/fellow traders and others for the seminar on 13 th September in ahmedabad. Entries on first come first serve basis.